Basic Principles of Drug Discovery and Development presents the multifaceted process of identifying a new drug in the modern era, providing comprehensive explanations of enabling technologies such as high throughput screening, structure based drug design, molecular modeling, pharmaceutical profiling, and translational medicine, all areas that have become critical steps in the successful development of marketable therapeutics. 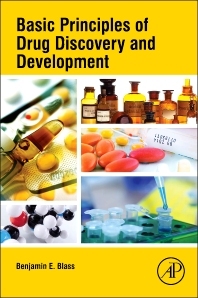 The text introduces the fundamental principles of drug discovery and development, also discussing important drug targets by class, in vitro screening methods, medicinal chemistry strategies in drug design, principles in pharmacokinetics and pharmacodynamics, animal models of disease states, clinical trial basics, and selected business aspects of the drug discovery process. It is designed to enable new scientists to rapidly understand the key fundamentals of drug discovery, including pharmacokinetics, toxicology, and intellectual property." As an industrial medicinal chemist, Dr. Blass has experience with major pharmaceutical organizations (Wyeth, Procter & Gamble Pharmaceuticals) and small biotech operations (Fox Chase Chemical Diversity Center), which provided him with a wealth of expertise in the art of drug discovery and development (including a wide range of disease states and biological targets). His position with Temple University’s School of Pharmacy and the Moulder Center for Drug Discovery has provided him with essential experience as an educator and academic scientist. These experiences, as well as his training and expertise as a registered US patent agent, have provided him with the tools and skills necessary to bridge the gap between industrial drug discovery and academic research.